Basking in glorious Cypriot sunshine, beside its own private stretch of golden sand, the 5-star Elysium offers a seductive sanctuary where you can revive your mind, body and soul in complete luxury. A retreat for all seasons, this splendid abode features sumptuous accommodation, tantalising dining options and leisure opportunities for all. 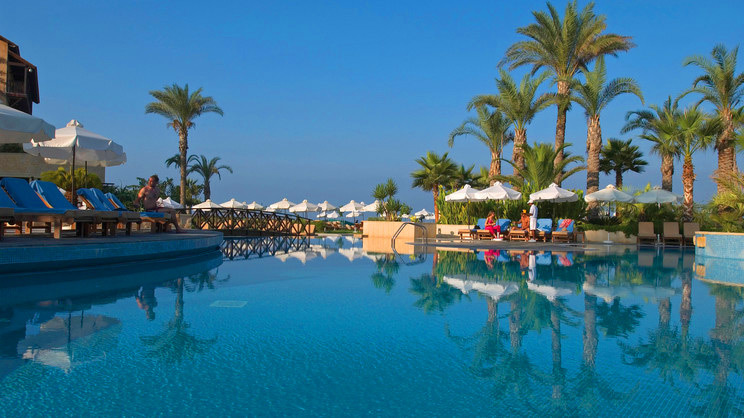 Whether you’re seeking a sun-drenched romantic getaway, or hope to make timeless family memories, the Elysium ticks all the boxes for an exceptional Cyprus holiday. The Elysium boasts its own private beach. A variety of shops, bars, cafes and restaurants can be found a short walk away from the Elysium. Paphos International Airport is approximately 18km away from the Elysium.